In yet another not so vaguely referenced Tweet, Phil Hellmuth has once again linked his name to the upcoming season of Dancing with the Stars. This latest hint comes on the heels of a number of Tweets over the past couple months referencing the Poker Brat’s possible appearance on the hit show. 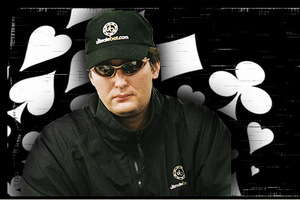 So poker players; get your prop bets and “When will Hellmuth be Eliminated” pools going, because it looks like Phil will be bringing his oversized ego and oversized shoes to the show –my money is on him being eliminated first, although he has hinted at taking dance lessons recently so who knows, he might surprise us. This entry was posted on Tuesday, February 22nd, 2011 at 4:34 am and is filed under Poker News. You can follow any responses to this entry through the RSS 2.0 feed. You can leave a response, or trackback from your own site.